This pages contains media relevant to the Edinburgh Aikido Club. Media include photographs, videos, interviews and articles. Most of the photographs and videos focus on Edinburgh Aikido Club focused events, instructors and students. The reading material focuses on essays and interviews from aikido instructors that have an on-going technical influence on the Edinburgh Aikido Club; principally Tamura Nobuyoshi Sensei, Suga Toshiro and Jacques Bardet. This page will be updated regularly. The Edinburgh Aikido Club Facebook Page has more media and is also updated regularly. Photographs from Edinburgh Aikido Club found here. Reading materials can be found here. 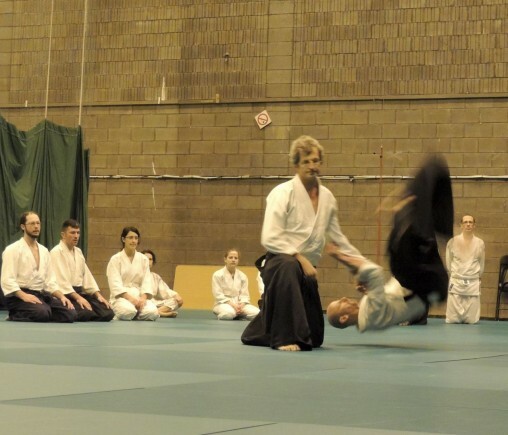 Videos from the Edinburgh Aikido Club found here.